You will also receive a copy of these by email for safekeeping. "Save Target As... or "Save Link As..."
The #1 Tool in the World for Introducing People to Hearing God's Voice! 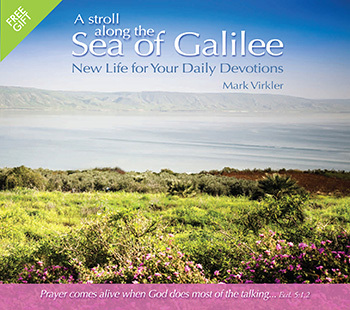 Pop this into your CD/DVD player or experience it on your MP3 player or mobile device during your morning devotional time and let us paint a scene of you and Jesus walking together along the Sea of Galilee. We'll encourage you to ask Him one of the following questions, "Lord, what would You like to say to me?" "How do You see me?" or "Do You love me?" 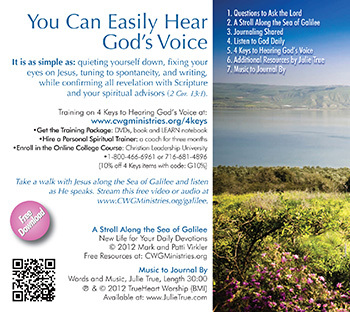 We then guide you into using the four keys for hearing God's voice, which are: quieting yourself down, fixing your eyes on Jesus, tuning to spontaneity and writing. Problems? To use a different player, click on one of the two links below. 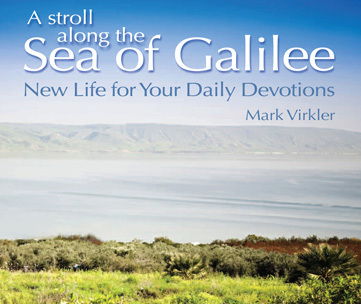 Download the MP3s: Right-click a link and select "Save Target As... or "Save Link As..."
When I am using the “Sea of Galilee” recording I receive three to four times more words back from the Lord.